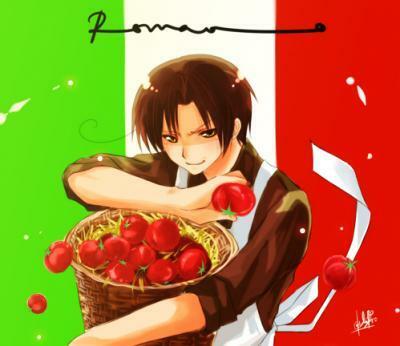 Romano with some tomatoes. . Wallpaper and background images in the Hetalia Italy club tagged: hetalia romano hetalia romano lovino vargas. This Hetalia Italy photo might contain bing cherry, picha, headshot, and closeup.